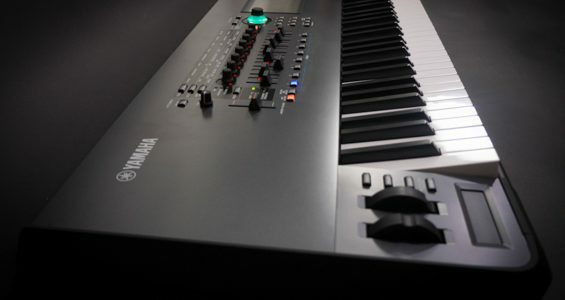 The new flagship synthesiser from Yamaha, has just been unveiled, and we were fortunate enough to have gotten our hands on 2 prototypes before its release date. 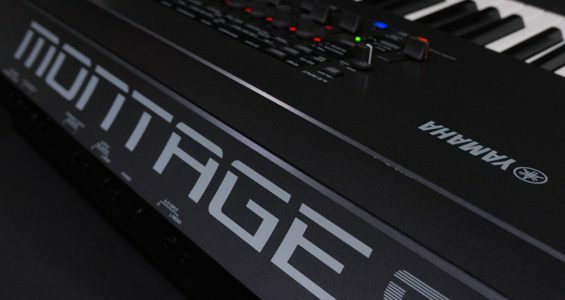 The Montage synthesiser comes with a wide range of functions which provide brand new ways of expression, as well as extremely diverse sound capabilities, all in a solid package that remains true to Yamaha’s renowned quality standards. 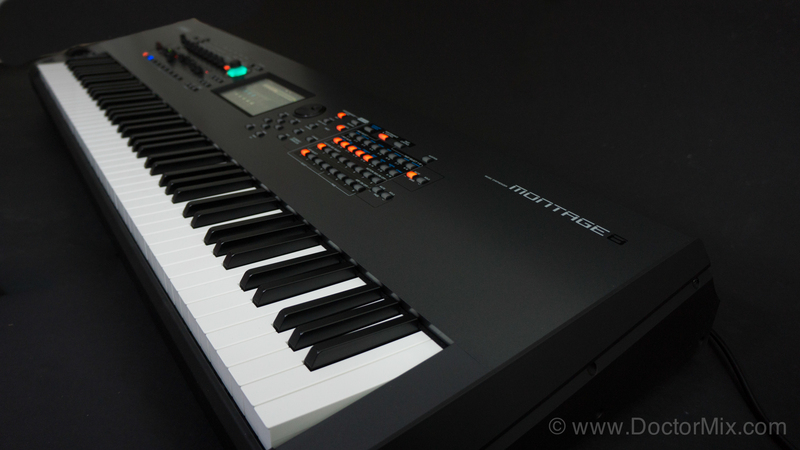 It delivers everything from stunningly realistic acoustic sounds, through to truly modern sounds and effects that could redefine today’s EDM with its powerful FM synthesis engine. 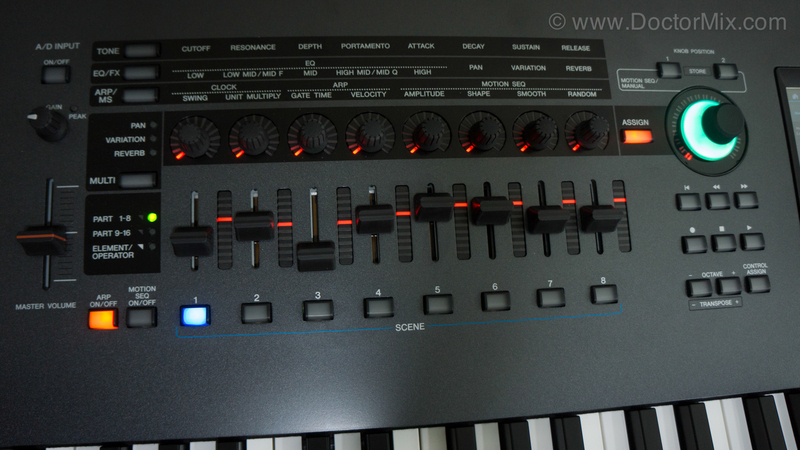 This combination makes it possible to create new sounds never before available on any hardware synthesiser. 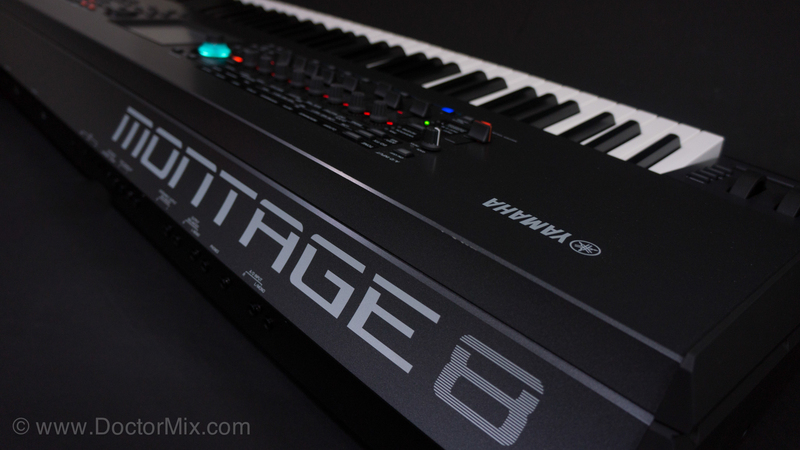 – and the Montage 6 – featuring a 61 note semi weighted keyboard. 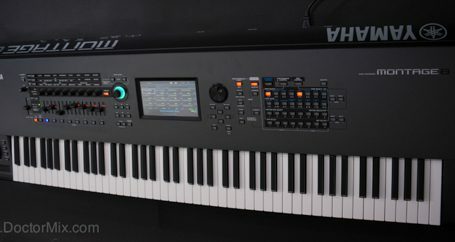 All three models have aftertouch, which allows for more control over expression, perfect for playing strings and more complex instruments. 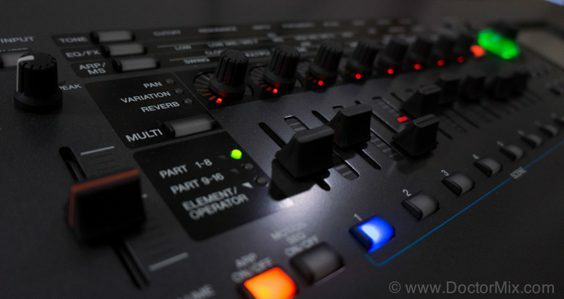 Sounds can be selected or changed, either through the in built touch screen, or through the assignable rotary encoders on the front panel, allowing for easy control and tweak ability. 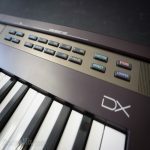 The FM synthesis engine (known as the FM-X) is an extremely powerful synthesiser offering you a total of 8 operators, even more than the much loved Yamaha DX7. The onboard AWM2 engine, which delivers subtractive as well as high quality waveform sounds, has been greatly expanded. 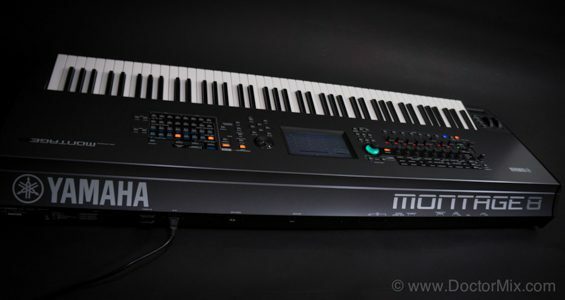 So much so that with over 5GB of samples, its capacity is nearly 10 times that of the Yamaha MOTIF XF. 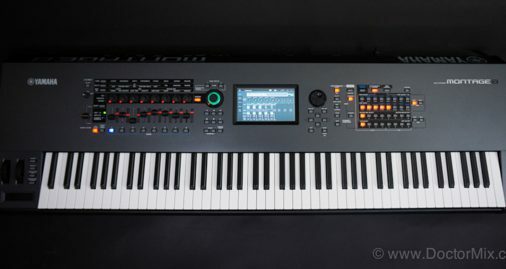 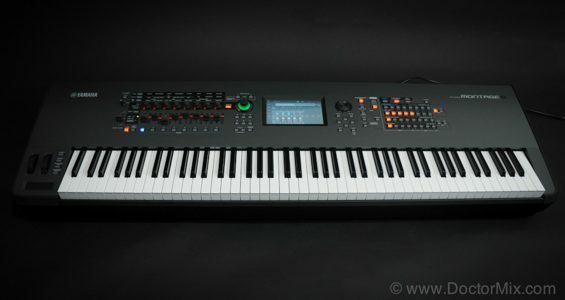 It even features 1.75GB of high speed read/write flash memory for the user to to add their own custom samples, or even synth libraries from the yamahasynth.com website. 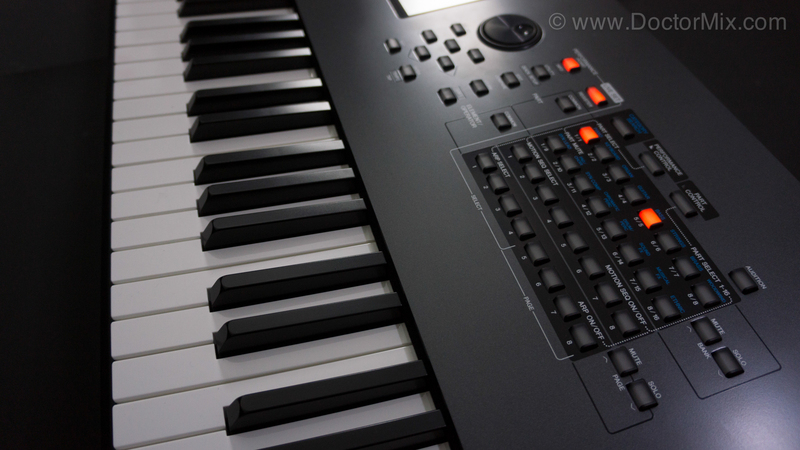 It comes with a fantastic variety of sounds built in. 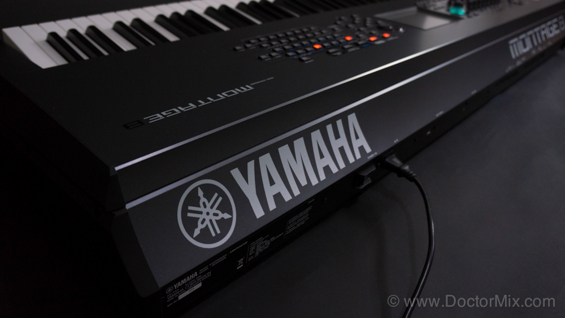 Obviously, coming from Yamaha, the piano sounds are astounding. Montage features a brand new Yamaha CFX Premium Grand Piano, featuring 10 velocity layers, and impressively the notes can sustain for over 10 seconds before looping occurs. 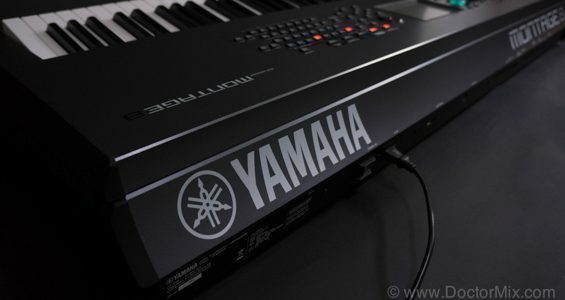 Yamaha also included a spectacular Bösendorfer Imperial Premium Grand Piano, as well as fantastic strings and woodwinds, as well as classic sounds from the DX and TX family of synthesisers. The Montage is directly compatible with MOTIF XF voices, and backwards compatibility with DX7 voices is also in the works. 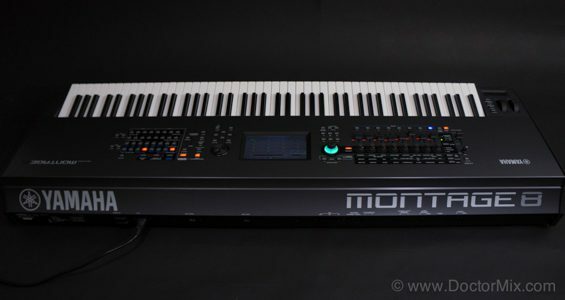 Montage comes is fully loaded with a variety of effects, with everything from Bit Crusher, Analog and Digital Delays, Amp Simulators Resonance Damper to HD reverbs, and compressors. 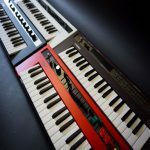 As previously suggested, these synthesiser engines can either be allocated to separate zones on the keyboard, or combined through Motion Control (a multi-faceted and deeply programmable control matrix), to create dynamic evolving sounds: a real game changer for live performers and studio producers. 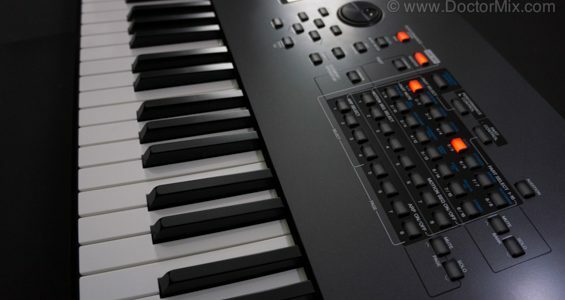 This, in combination with the distinctive Super Knob controller, which can be assigned to act as a master for a number of different parameters at the same time, allows for the powerful and easy manipulation of the sounds created. 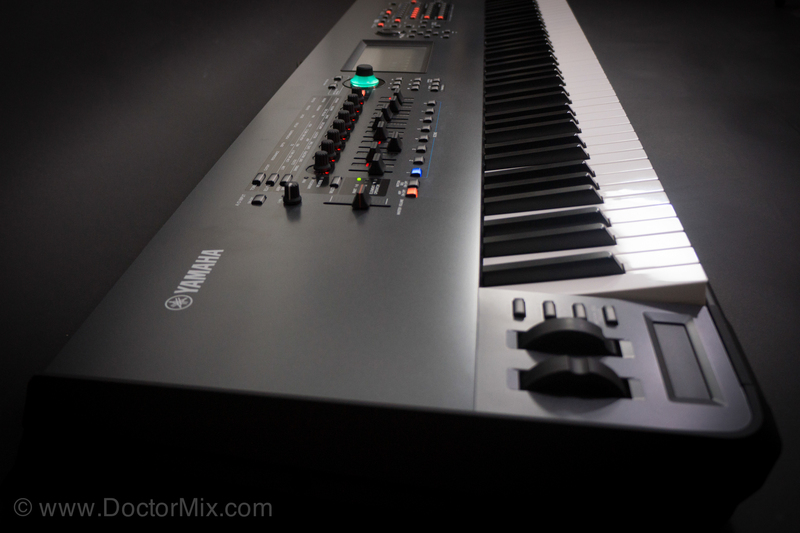 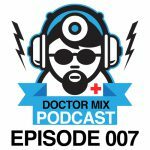 This makes it possible to go from a distant reverb ambience, to a compressed in your face dry sound with one control, or even more radical morphs from lush synth pads to huge full sounding orchestral sounds. 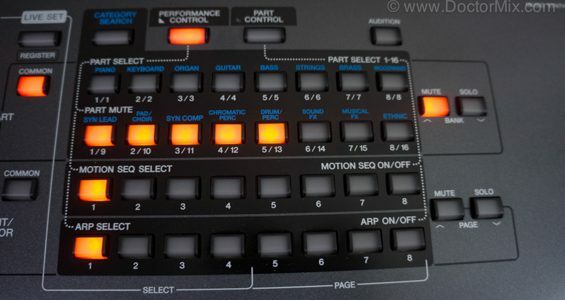 The Super Knob can even be assigned to a FC7 foot controller, so you can have both hands free to play and still have control over morphing your sounds. 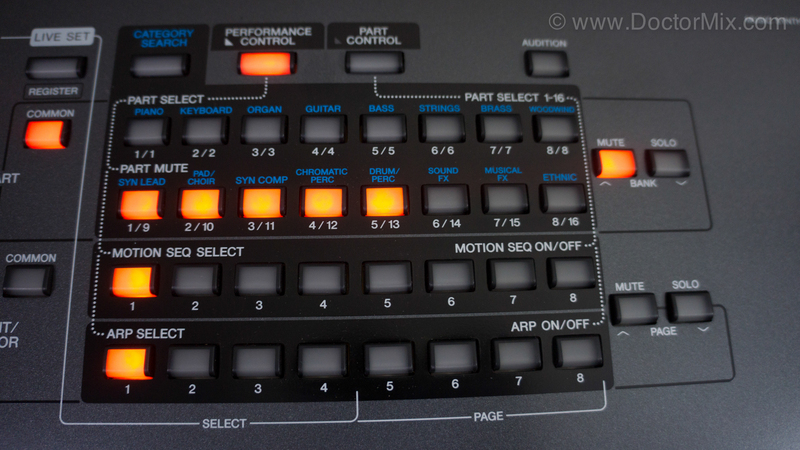 Motion Sequences also have individual dedicated controls on the front panel, allowing for in depth tweaking of parameters at any point. 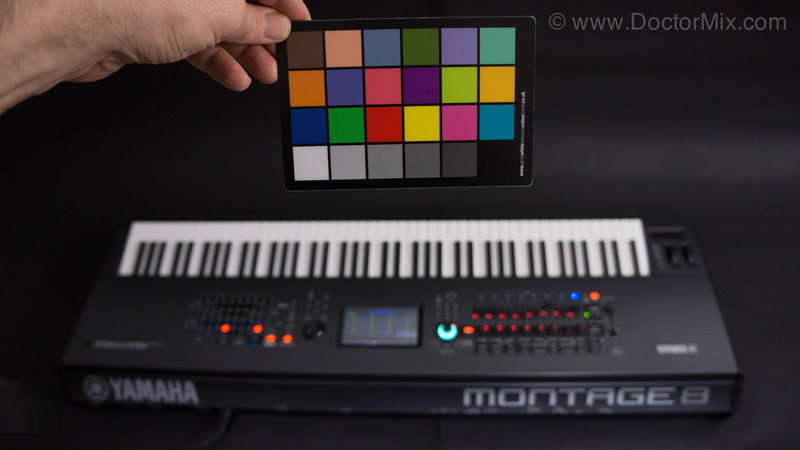 Motion Sequences are also tempo-synched which helps keep the onboard effects in time with what is being played, a great feature for live use; but on top of this the unit also features an Envelope Follower. 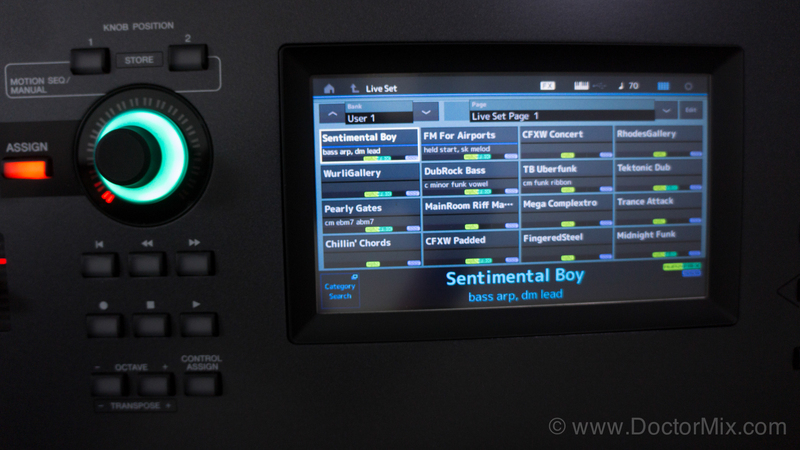 This allows you to feed an external sound source into the unit to control virtually any of the synthesisers parameters. 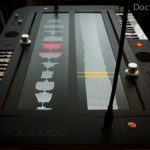 This allows you to do everything from automatic side-chain compression from a drum loop or even a live kick drum, to using a vocal recording to create vocal like synth sounds. 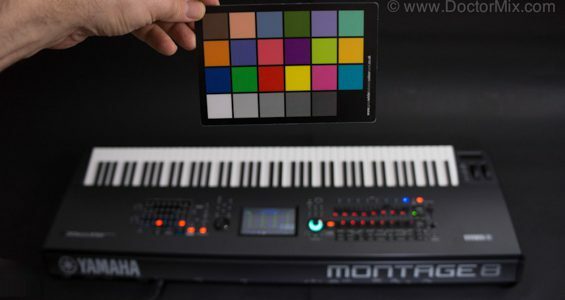 Montage is itself an audio interface, allowing for the recording of 16 channels of stereo audio directly into your DAW, computer or iOS device, all with class compliancy so that no additional drivers are needed. 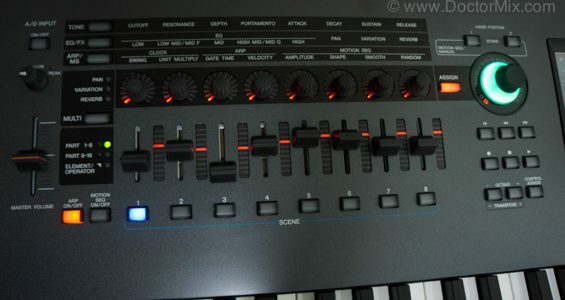 The USB connection is also offers full MIDI support of all 16 channels. 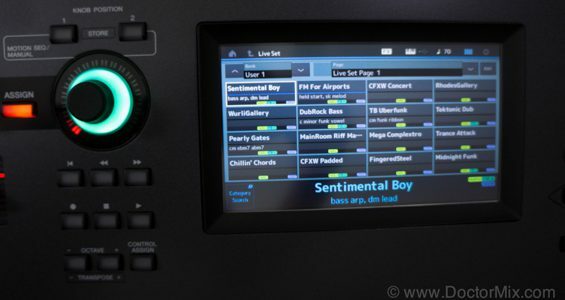 You can also connect microphones, guitars or any line level source directly into the balanced A/D input section of Montage, allowing you to process them with the inbuilt effects.